5. Chicken Alfredo Stuffed Shells. The unbaked shells from Taste of Home‘s recipe can be frozen for up to one month. 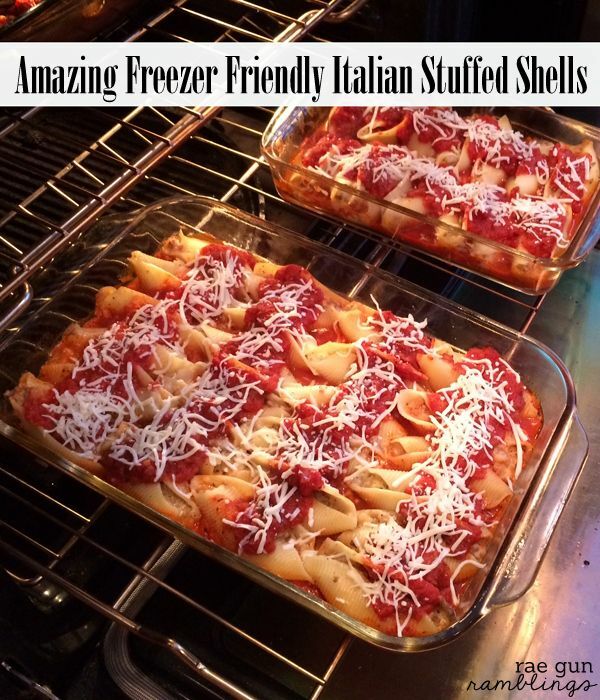 To bake from freezer, thaw in the refrigerator, and then let stand at room... How to Make Stuffed Shells: Preheat oven to 375˚F. Cook pasta shells al dente (firm tender) according to package instructions then drain and re-fill the pot with cold water; set aside. Keeping them in cold water will stop the cooking process and prevent the shells from sticking to each other. 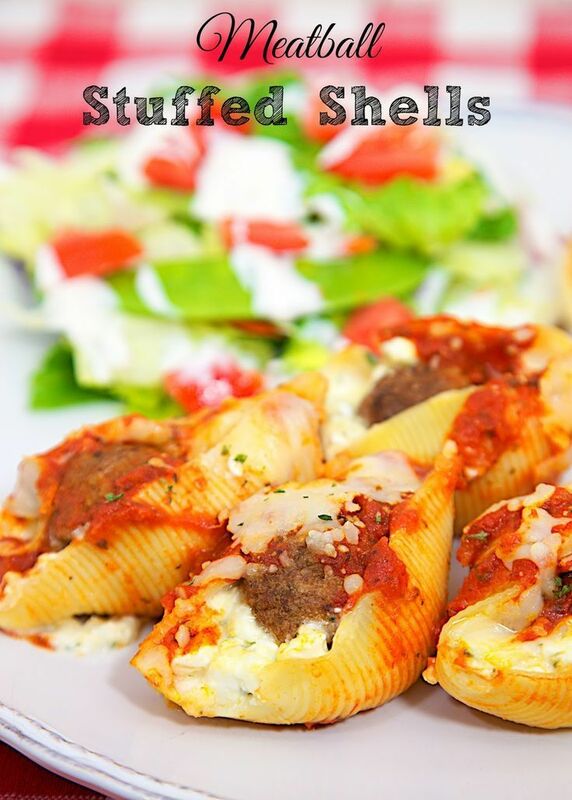 Just a few handy ingredients and a little prep time is all it takes to make these great meatball stuffed pasta shells. Let me show you how… Let me show you how… Start by boiling the jumbo pasta shells with a few teaspoons of olive oil while the meatballs simmer in your favorite marinara pasta sauce.... How to Make Stuffed Shells: Preheat oven to 375˚F. Cook pasta shells al dente (firm tender) according to package instructions then drain and re-fill the pot with cold water; set aside. Keeping them in cold water will stop the cooking process and prevent the shells from sticking to each other. Easy Meatball Stuffed Shells Recipe ~ Quick, Easy Delicious Dinner! Shells Stuffed with Meatballs then Smothered in Spaghetti Sauce and Cheese! Shells Stuffed with Meatballs then Smothered in Spaghetti Sauce and Cheese!... Stuffed shells are one of those dishes that can often seem prep-heavy, requiring more ingredients than we care to use in one dinner. But with this slow cooker adaptation, you can prepare your own extravagant stuffed shell dinner in under 20 minutes, leaving it to cook away as you go about your day. Cheesy Ricotta Stuffed Shells Tried and True Recipes Baby! Italian Cheese Stuffed Shells is a simple ricotta cheese stuffed shells recipe to make for your family. The cheesy ricotta cheese oozes from the large pasta shells. Then it is covered with tomato sauce and baked to perfection. Cook pasta shells according to package label directions; drain and set aside to cool. While pasta cooks, in a large bowl, stir together ricotta, 1 cup mozzarella, Parmesan, spinach, egg, salt, pepper, Italian seasoning and nutmeg.